Baby girls white lace headband with flower and pearl motif. 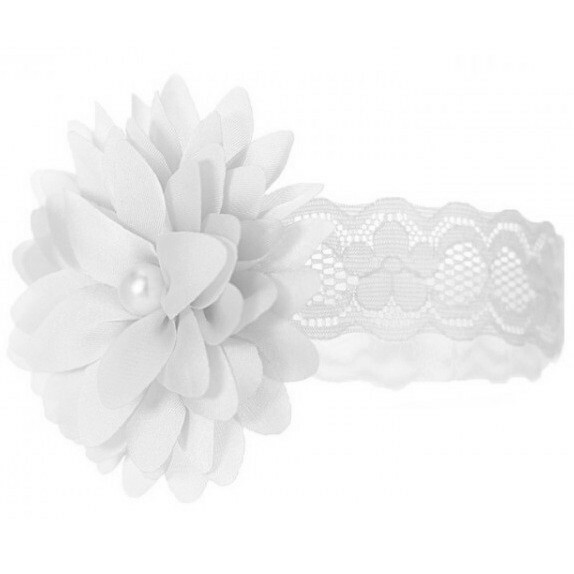 The perfect baby headband for a christening, wedding or special occasion. 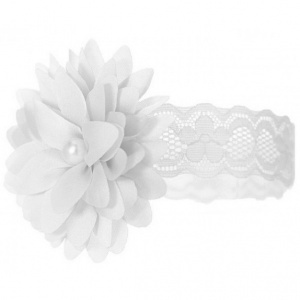 This beautiful white headband is made up of a stretchy lace. A lovely white layered flower is to the centre with a pearl motif. Lace measuring 3cm wide, head circumference 30cm-34cm stretched.